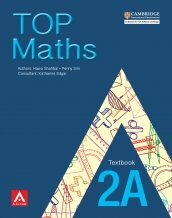 TOP Maths series is developed to comprehensively cover the learning outcomes of the latest Cambridge Primary Mathematics curriculum framework, using the Singapore Approach. TOP Maths builds a strong foundation of the subject through the use of well-researched and sound pedagogical principles. Adopting the popular Singaporian Concrete -> Pictorial -> Abstract approach, pupils are introduced to new concepts through concrete manipulatives and engaging pictorials before they are led to see their abstract symbolic representations. This allows pupils to have a deeper understanding of key mathematical concepts, thus motivating them to learn. Content is also clearly structured and spiralled across the levels to ensure a gradual build-up and review of skills as pupils progress up the grades. At the same time, emphasis is given on developing pupils? problem-solving skills, critical thinking, as well as other 21st century skills.